Every day is a reason to celebrate. I enjoy taking advantage of every opportunity to harness moments whether it’s traffic jam dance parties or picnics during baseball practice. Whether we’re at a playdate, outdoor concert, road tripping, camping, or sporting event the #RockyMtnRowekamps love elevating our everyday by way of family picnics. It just doesn’t get much better than enjoying great food and drinks outside in the fresh air. 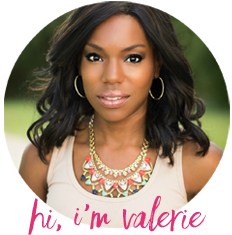 I’m going to share a few must-haves I always pack when picnicking in style and my new favorite bubbly beverage. Decor has a way of setting a festive mood and a nice tablecloth + flower is a simple, chic way to decorate your picnic table. 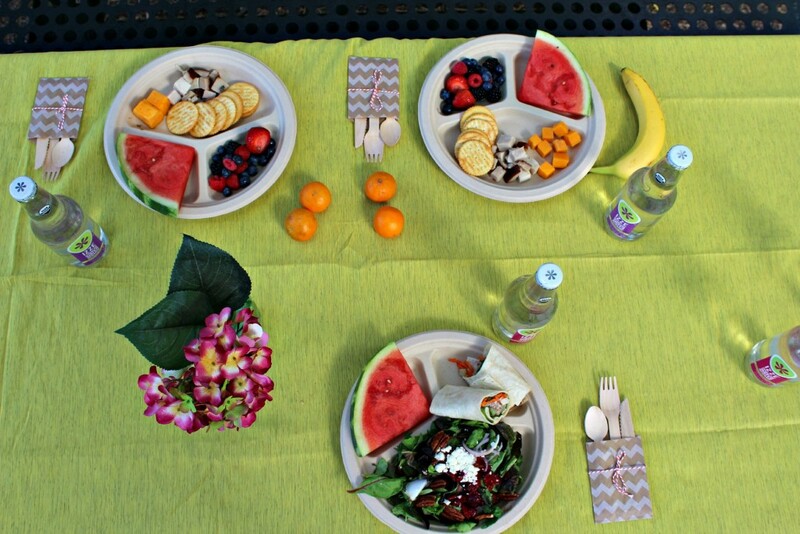 Eco-Friendly Dishes + utensils that are reusable or recyclable help reduce waste so that many future generations can enjoy picnics on our beautiful Earth as well. Fresh food served chilled (like sushi, sandwiches, wraps, etc.) are my go-to picnic food. I love healthy, indulgent, finger-friendly bites. 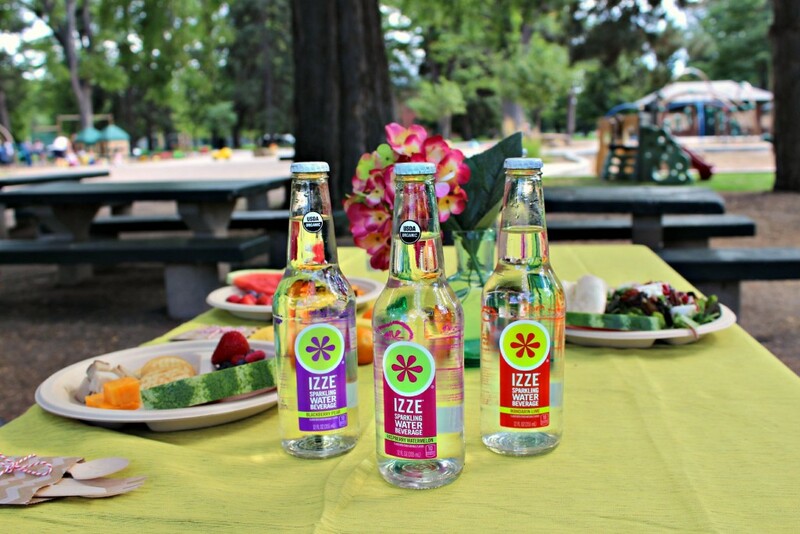 IZZE Sparkling Water truly sparkles with flavor: IZZE starts by triple-filtering mountain spring water, eliminating any impurities for the cleanest, freshest sparkling taste. They then add organic fruit flavors, so each sip is simply delicious and flavorfully bright. Anyone who knows me knows that I’m a sparkling water aficionado and it was love at first sip when I tried Izze Sparkling water. It has a more than a hint of fruit flavor with just enough sweetness to ignite my taste buds. 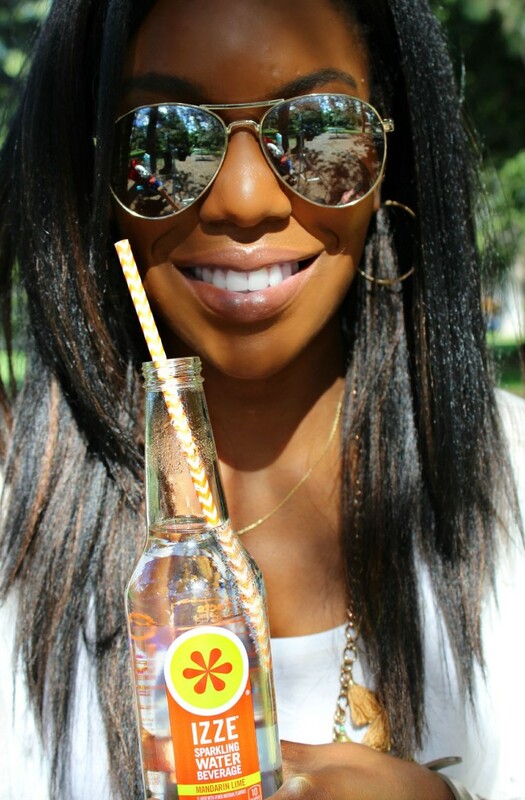 A low-calorie drink, IZZE Sparkling Water has just 10 calories per 12-oz serving and a hint of organic pure cane sugar (1-2 grams). 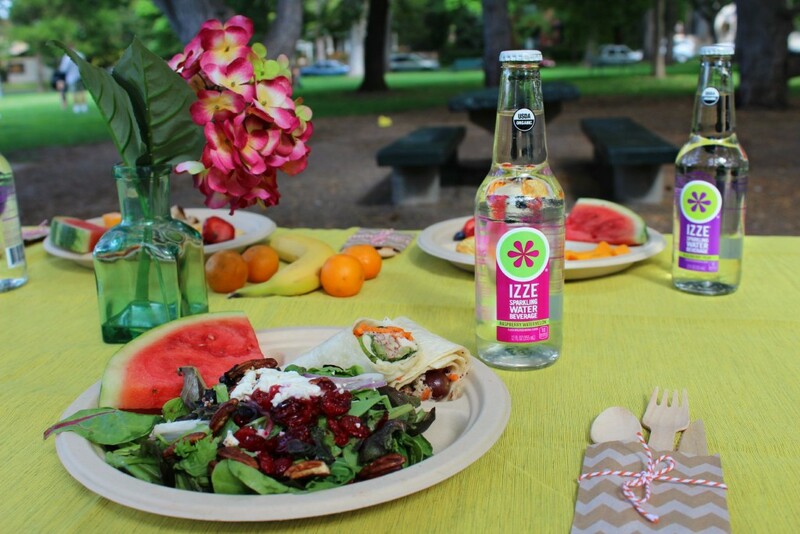 IZZE Sparkling Water is the latest from IZZE – a bold sparkling water with true-to-the-fruit flavors: Blackberry Pear, Mandarin Lime and Raspberry Watermelon.